Have you been injured in an auto accident? Insurance may not be your only option. Call us today. Have you been injured in a car accident? If so, contact a Phoenix car accident lawyer who will explain all your legal options and show you how to maximize the compensation you deserve. The injuries suffered in a car accident often require medical attention which means doctor bills and hospital bills. You may have lost time from work and you have certainly endured significant pain and suffering since the accident. These losses, as well as your discomfort, may continue into the future. John Kelly has extensive experience as a trial attorney in Phoenix, Arizona and will work with you to determine all parties at fault and aggressively go after every dollar you are owed. Many car accident attorneys try to make similar claims; however, John Kelly excels in deeper investigations into your case and finding additional areas for compensation. Will your injuries require long-term care which have not been calculated into a settlement offer? Instead of simply going after the insurance company, there may also be a product liability claim against the automotive manufacturer? Did the car which hit you belong to a business? If so, Mr. Kelly and his team can go after the business. Does the person at fault have a homeowner’s policy which provided them additional coverage above and beyond their auto insurance coverage? This may be an opportunity to significantly expand the degree of compensation. These are just a few examples of how The Kelly Law Team will explore every compensation avenue for your case. If you’ve been in an automobile accident, call us today for a confidential free consultation. You don’t pay until we win your case. A.G. – Personal injury settlement. An accident caused this client’s son to pin them against a wall with a vehicle. After reducing a large portion of the client’s medical expenses, an additional settlement of $100,000 was awarded. Mike S. – Rear-end vehicle collision. Rear-ended while at a dead stop on the interstate, this client suffered serious injuries. Aggressive pursuit of long-term damages resulted in a settlement of $100,000. J.K. – Rear-end car accident. A negligent driver left this client with a significant concussion. A history of concussions threatened to derail their claim yet thanks to the right medical experts and evaluation, a settlement of $100,000 was reached. Brittany G – Two car collision with adverse driver failing to yield the right-of-way. Settled liability claim with Progressive for $40,000.00. M.P. – Car accident settlement. A rear-end collision caused whiplash injuries to this client’s neck, back, and knee. Medical expenses plus pain and suffering resulted in two settlements totaling $125,000. What Types of Injuries Typical Result From Car Accidents? If you are involved in a car crash, there is statistically a one-in-three chance that you or someone else will be injured. The nature and extent of the injuries varies widely, from scrapes and bruises, whiplash and muscle pain, to life-altering injuries, and even wrongful death. Common injuries suffered in auto accidents include lacerations, bone fractures, neck, back and spine injuries, concussions, traumatic brain injuries (TBI), and internal injuries such as damage to one or more of your internal organs. Some injuries suffered in car wrecks are obvious from the start. Other injuries, however, are more difficult to detect, since symptoms may not appear until well after the accident occurs. This is particularly true of soft tissue injuries, where the symptoms at the outset may merely be stiffness, perhaps some numbness, soreness, headaches and the like. Some of these symptoms could also be an indication of a more serious problem, including torn ligaments or a possible brain injury. Because the injury, in many cases, will not manifest itself until days, weeks or even years after the crash, it is essential that you seek medical attention at the earliest possible time. A medical professional will often be able to spot potential problems before the onset of acute symptoms. Since medical injuries are not always obvious, John Kelly will seek compensation not only for your current medical bills, but the potential medical expenses for years to come. How do I Prove who was at Fault in my Wreck? There are times when an automobile accident occurs as the result of a mistake, lapse in judgement or traffic violation by a single driver. In many cases, however, the fault lies with two or more people, each having contributed to some degree in causing the accident. The first thing to understand about proving fault, and therefore liability, in an auto accident case, is that you can be partially at fault and still collect damages from the other parties in your case. This is a function of Arizona’s comparative negligence law. The primary statute, A.R.S. 12-2505, provides that if you are partially at fault in a case, you can still collect, but your damages will be reduced by the relative degree of your fault. This is known as “pure” comparative negligence, as opposed to modified comparative negligence, which has been adopted in some states. But even among the states, like Arizona, that have adopted the “pure” version, there are various wrinkles that make the law in our state unique. John Kelly can explain exactly how this will affect your car accident settlement and how to use the law to your benefit. What are some Examples of Comparative Fault? Pedestrian Hit by Car: You are a pedestrian. You have been struck by a car that went through a stop light while you were crossing the street within a marked crosswalk, but you may not have had the green cross signal. All things being equal, this could be a relatively easy case to prove on the issue of liability or fault. On the other hand, additional facts could affect any determination on the issue of liability. In these situations, it critical to collect all the information, including witness information, to present favorable findings to the insurance company or the party at fault. Car on Car Accident: You are in a collision with another car. It occurred at an uncontrolled intersection. The result in this case will depend upon a number of factors, and likely will hinge upon the testimony of witnesses, including yourself and the other driver. Police reports can play a role, but the police report is not the final factor in determining fault. Even if the police say you are at fault, does not mean you are! In these situations, the Kelly Law Team might try to find a security video from a local store or do a forensic analysis of the accident to prove your claim. Jaywalking and Hit by a car:You are a pedestrian and you are struck by a car. You were jaywalking at the time. In this situation, additional facts will no doubt affect the outcome. Did the accident occur during the day or at night? What were the weather conditions? How long were you in the rode before you were struck by the car? In some cases, this may result in a finding of partial liability on the part of both the driver and the pedestrian. In either situation, compensation is most likely available depending on the severity of the injuries. Multiple Car Rear Ender: Your car is hit in the rear by the vehicle behind of you and you then hit the car in front of you. While there are exceptions, rear-ending another car usually translates into liability. This applies whether your car is traveling on the highway or stopped at traffic light, stop sign or pedestrian crossing. Many of these accidents are caused by inattention, and others by speeding, and traveling too closely to the car in front of you. Each of these factors combined results in the comparative fault, and thus compensation which can be collected on your behalf. What Should I Consider When Hiring a Car Accident Lawyer? There are numerous characteristics that should be considered when you look for an attorney to represent you in your car accident case. First, make sure that your attorney has trial experience. Most personal injury lawsuits are settled out of court. However, an attorney with trial experience will increase the probability of a more lucrative settlement offer since the parties at fault do not want to pay for a trial. Additionally, if it does go to trial, you need someone who knows how to win. Next, you’ll want a lawyer with a reputation for credibility – with clients, judges, other lawyers, and jurors. Look at online reviews on Google, Yelp, etc. This will give you an idea of the experiences previous clients have had with the attorney. 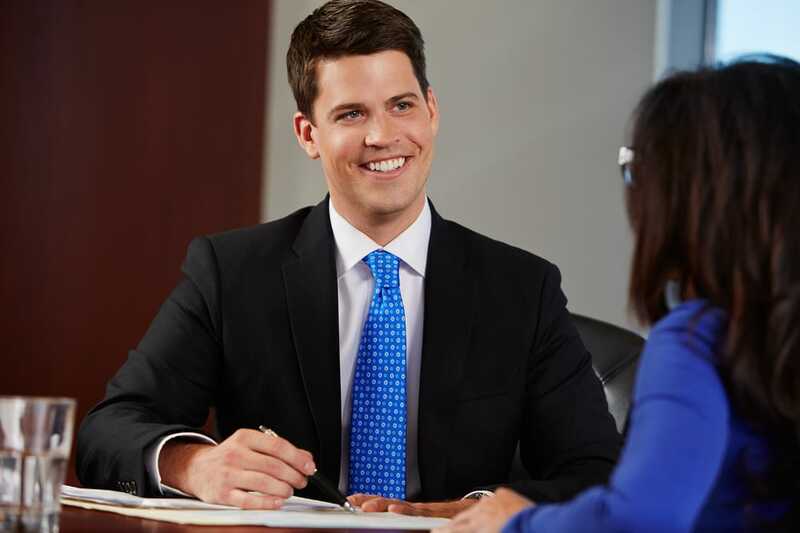 Along with extensive abilities and positive client testimonials, ultimately, you’ll want your attorney to be a person who inspires confidence in you. The Kelly Law Team will handle the investigation and communication with the adverse parties so you can focus on your treatment and feeling better as soon as possible. John Kelly has the traits you will want in your personal injury lawyer. After an initial, no fee consultation, Mr. Kelly will analyze your case, and provide you with a well thought out strategy which will include an intensive investigation of all the facts. This means a detailed review of witness statements, interviews, and examination of physical evidence. Experts may be required in various areas, including both liability and damages which the Kelly Law Team will find these professionals to help you. Consistent communication is key for a successful attorney. At some point, Mr. Kelly will speak to you about making a demand for a specific amount of money against those liable for your injuries. The negotiations process can be an intensive and you will be kept informed at each step during the process. Mr. Kelly will remain available throughout the case to answer any questions you might have. Contact us today for a free, confidential consultation. You only pay if we win your case.